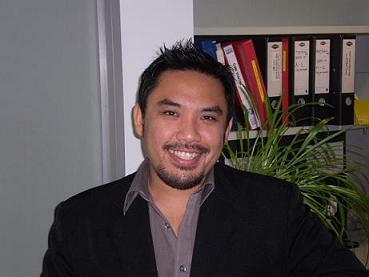 Professor Shanton Chang, A/Professor ,B.Commerce (Hon) (UWA), PhD (Monash), GCUT (UniMelb). Assistant Dean Department of Computing and Information Systems Melbourne School of Engineering. Recent Publications Ball L, Steinle V, Chang S. A proof-of-concept virtual learning environment for professional learning of teachers of mathematics: Students’ thinking about decimals. 39th Conference of the International Group for the Psychology of Mathematics Education. 2015. Editors: Beswick K, Muir T, Wells J.
Pang PCI, Verspoor C, Verspoor C, Chang S, Pearce J. Conceptualising health information seeking behaviours and exploratory search: result of a qualitative study. Health and Technology. 2015, Vol. 5, Issue 1. Binsahl H, Chang S, Bosua R. Identity and belonging: Saudi female international students and their use of social networking sites. Crossings. 2015, Vol. 6, Issue 1. Maynard S, Lim JS, Ahmad A, Chang S. Information Security Culture: Towards an Instrument for Assessing Security Management Practices. International Journal of Cyber Warfare and Terrorism. IGI Global. 2015, Vol. 5, Issue 2. Hamid S, Waycott J, Kurnia S, Chang S. Understanding students' perceptions of the benefits of online social networking use for teaching and learning. INTERNET AND HIGHER EDUCATION. Pergamon. 2015, Vol. 26. Li X, Gray K, Chang S, Elliott K, Barnett S. A conceptual model for analysing informal learning in online social networks for health professionals. Studies in health technology and informatics. IOS Press. 2014, Vol. 204. Hamid S, Waycott J, Kurnia S, Chang S. An empirical study of lecturers' appropriation of social technologies for higher education. Australasian Journal of Educational Technology. ASCILITE. 2014, Vol. 30, Issue 3. Pang PCI, Pang PCI, Verspoor C, Verspoor C, Chang S, Pearce J. Designing for health exploratory seeking behaviour. CEUR Workshop Proceedings. 2014, Vol. 1276. Pearce J, Chang S. Exploration Without Keywords: The Bookfish Case. 26th Australian Computer-Human Interaction Conference (OzCHI). 2014. Editors: Robertson T, O'Hara K, Loke L, Wadley G, Leong T. Gomes C, Berry M, Alzougool BM, Chang S. Home Away from Home: International Students and their Identity-Based Social Networks in Australia. Journal of International Students. Arkansas State University. 2014, Vol. 4, Issue 1. Fan H, Lederman R, Smith SP, Chang S. How Trust Is Formed in Online Health Communities: A Process Perspective. Communications of the Association of Information Systems. Association for Information Systems. 2014, Vol. 34. Pang C, Chang S, Pearce J, Verspoor C. Online Health Information Seeking Behaviour: Understanding Different Search Approaches. Proceedings of the 18th Pacific Asia Conference on Information Systems (PACIS 2014). AISel. 2014. McKay D, Smith M, Chang S. PRE-PRINT Lend me some sugar: Borrowing rates of neighbouring books as evidence for browsing. Digital Libraries Conference. IEEE Computer Society. 2014. Heffernan K, Chang S, MacLean S, Callegari E, Garland S, Reavley N, Varigos G, Wark J. The potential of eHealth Apps to Support Targeted Complex Health Messages. Journal of General Practice. Omics Publishing Group. 2014, Vol. 2, Issue 5. Alshaikh M, Ahmad A, Maynard S, Chang S. Towards a Taxonomy of Information Security Management Practices in Organisations. 25th Australasian Conference on Information Systems (ACIS). Auckland University of Technology. 2014. Editors: Tan F, Bunker D.
Education and Wider Society Consumer Health Informatics and Information Needs. Information Systems Security Culture and Management .